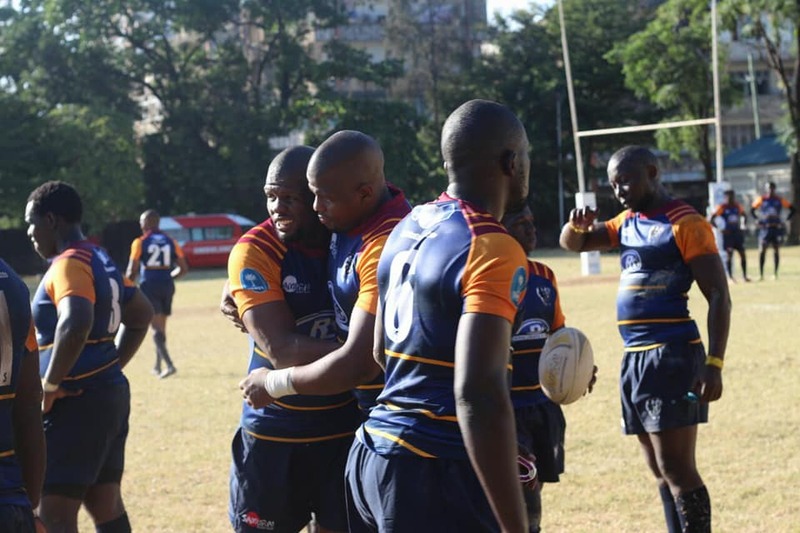 Mombasa RFC required a last day brilliance to qualify for Championship playoffs as they beat rivals South Coast Pirates 25-27 in Ukunda on Sat April 6, 2019. Mombasa picked five points to climb to sixth with 37 points, five above Kisii RFC who went into the matchday needing a bonus win too but lost 13-0 to MMUST. Catholic Monks secured a home semifinal as they beat Egerton 10-32 which takes them to 59 points but USIU could finish above them if they win their last two matches. USIU play Ngong on Sunday at 11am while a postponed clash against South Coast Pirates is set for next week. Western Bulls picked four points on the road beating UoE 6-10 to stay second with 54 points, five above USIU who have two matches in hand. MMUST’s wonder season continued with a 13-0 win over Kisii RFC to secure fifth place with 42 points. Kisumu RFC received a walkover from Kitale also to seal fourth place with 46 points. Pirates moved to 24 points after picking a losing bonus which now puts them two points off ninth placed Egerton Wasps. Kitale RFC joined Ngong RFC on the relegation to the nationwide.